A common way people get rid of their current car when buying a new one is to trade it in or sell it to a dealer. While that may seem convenient, as you get to do both the buying and selling in one transaction, there are reason to be leery of selling your car to a dealer. When you want to sell your car for cash, you may want to consider other options besides a dealership. Read on to find out why. If your car has transmission problems that are a costly fix, the dealer may not take your car at all. If they do, they may not reduce the cost of your new car much in the trade. The dealer knows they will likely sell the car to an auction or wholesaler, and therefore get very little for it. The auction or wholesaler also needs to make a profit, so the dealer will not make much on his or her part of the transaction. This means there is even less reason for the dealer to give you much, or any, trade-in value for your car. The dealer may even charge a fee for moving the car off their lot. This is often buried in paperwork where you may not necessarily know about it. Even if your used car is running well, the dealer still wants to make a substantial profit from selling it. When you do get trade-in value for it, it is often as little as half the blue book value of the car. Even a vehicle in great condition with maintenance records and low mileage will be bought by a dealer for much less than it is worth. If you negotiate more for your vehicle, you can count on the new vehicle price being less negotiable as a result. This brings up the next point. Negotiating stinks! Even if you enjoy the much maligned practice of negotiating with a car dealer, it can take up hours and there is a certain point at which the dealer will give you no more. As with any business, the dealer needs to make his or her income. This means selling your car to a dealer is simply not going to earn you as much as it would if you sold it on your own. With all of these downsides to taking your used car to the dealer, it is hard to see how the benefit of convenience comes close to balancing out the cons. 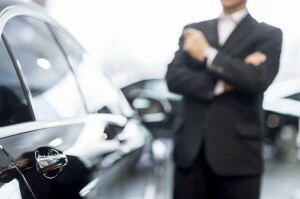 Taking your car to a Cash for Cars company is a win-win endeavor. The fact that the car may not run is not a problem, because it is still worth the value of its parts. If it does run, you are not dealing with the complicated mess of negotiating a new car for an old one. Instead, you get the value of the car paid to you in cash. And, since they will come to you to pick up the vehicle for free, you can take that cash and head straight to the dealership for that new car with a good down payment in hand! For more information on getting cash for your car in Portland, OR, Contact Us at Cash for Cars Northwest at 503-482-5165.